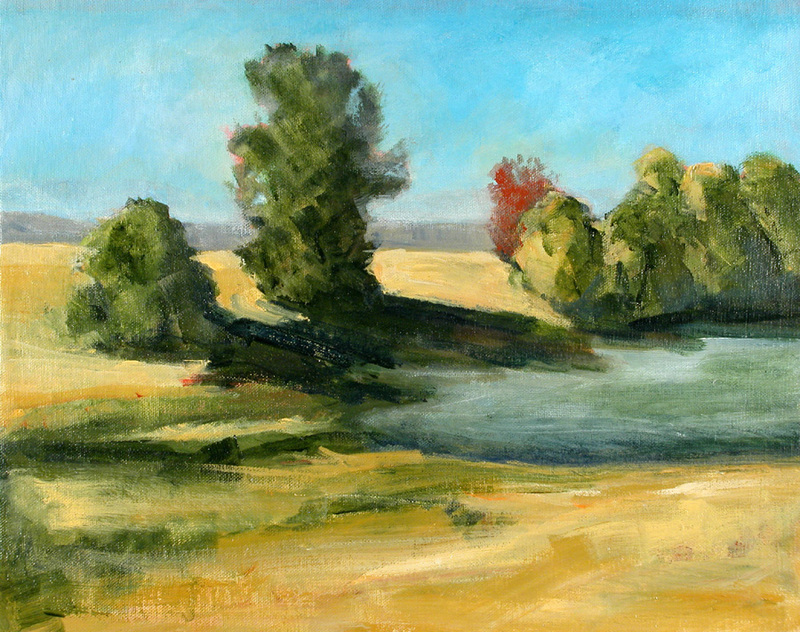 When the weather looks promising, I head out to one of my favorite places, Sauvie Island, about 45 minutes from my studio. My car is packed with supplies, raingear, just in case, and variety of painting surfaces. Most of the island is a wildlife refuge with limited access during certain times of the year. Other areas are cultivated for farmland and nurseries. I follow gravel roads to favorite painting spots and set up for a day of painting , always with an eye for weather changes. 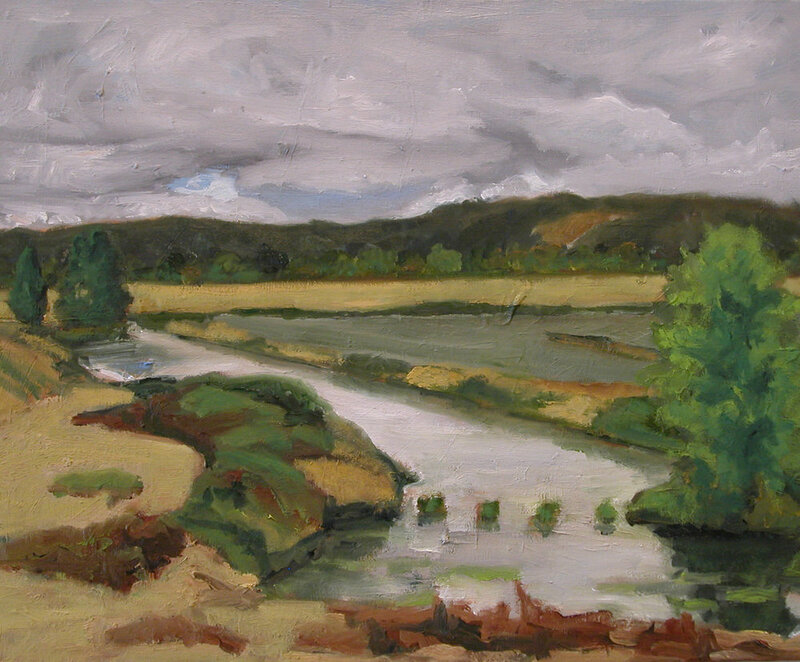 The dramatic skies particularly in the summer months inspire atmospheric paintings. These recent paintings are oils on wood panels.